I've had my Rolex purchases post written for 2 days but haven't found the time to sort through photos and actually get it scheduled, so that's my biggest fail Friday! My other fail was yesterday -- one of the goats (Blanca, or as DH calls her, white-face) has been battling some hoof rot exacerbated by the 6+ inches of rain Missouri got last week. 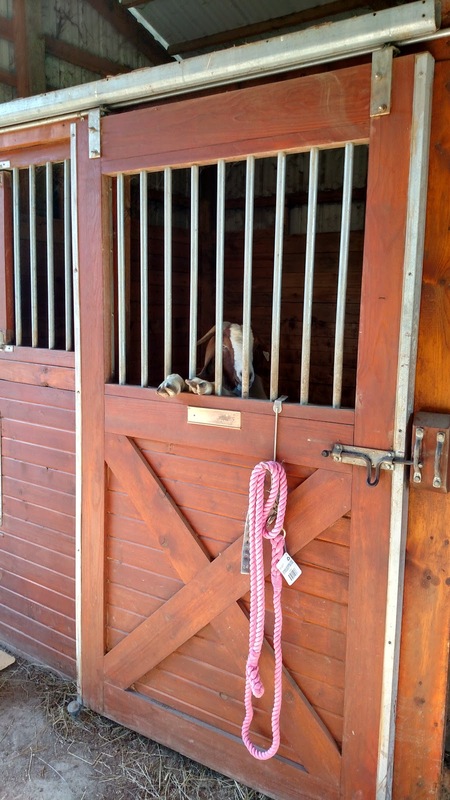 While I was in Kentucky, DH called me to say he put her in the stall next to Cinna (I was not amused) so her hooves could dry out and stay dry. She's not particularly wild about this, and spends most of her time with her little nose and hooves stuck out the stall bars. So yesterday it had finally stoped raining and was beautiful out. 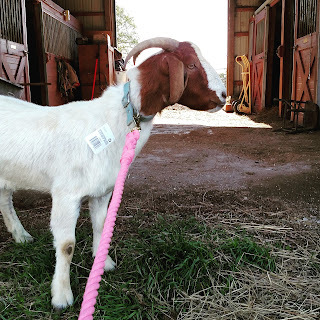 Blanca couldn't go back outside to her pen because it was muddy, but I figured I could stake her out in front of the barn to graze while I cleaned stalls. So I wrestled a dog collar onto her (yeah that went about as well as you're imagining) and tried to take her outside. "TF are you doing human?" Note to self -- the goats are not broke to lead and do not appreciate being dragged outside. 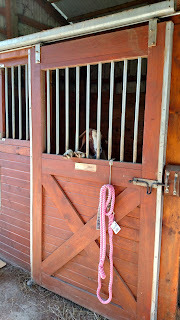 She ran around like a lunatic for a minute (goat lunging anyone? ), and then dragged me back to her stall. Okay then. Guess she'll stay in there until it's drier! ROFLMAO -- what an opinionated little thing she is! 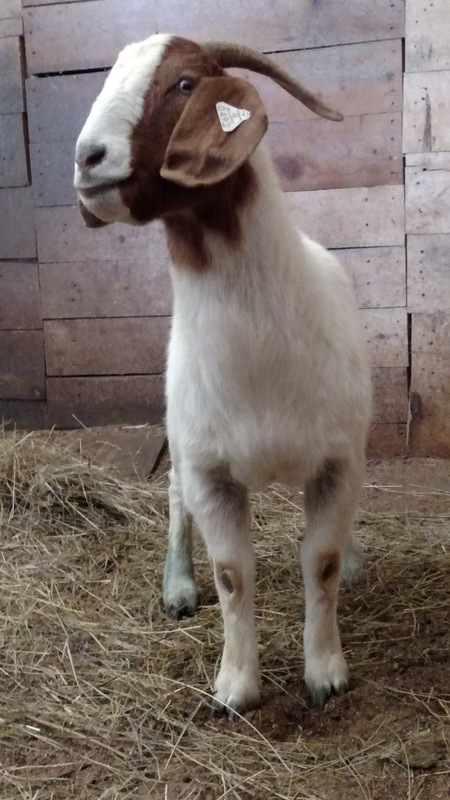 It's apparently a rule that every animal we own has to have oodles of personality 😋 the goats fit right in.... Lol. Poor goat. I'm telling you, the farm animal list needs to happen. Goats have many opinions. They are HILARIOUS though! My trainer has one that rears up and flips over intentionally. Poor little goat. The good news is it should be dry enough to go back outside this weekend! I wonder if you can get paid for that? I mean, if someone had been around to video I probably could have won money on America's funniest home videos? Good thing that she's cute! Exactly! That video kills me every time haha. I've succumbed. The goats are kind of entertaining, I'll give them that! Haha they're growing on me (marginally). The billy will go home soon and then we'll just have the two girls, and I don't think that will be too bad! 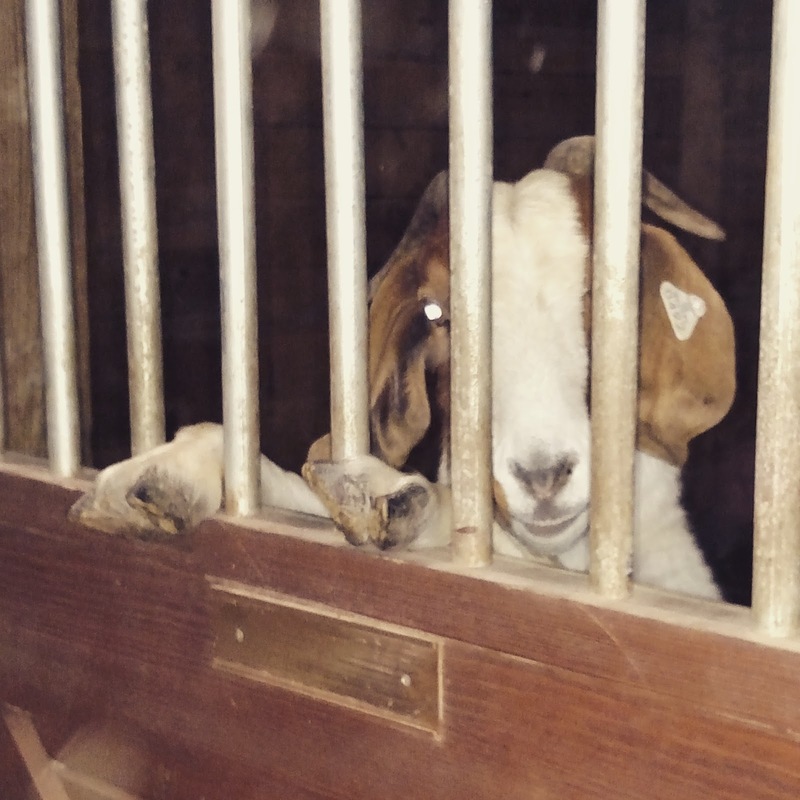 Sad goat is sad. And adorable. Lol. I love goats. They're such a pain but it evens out with their crazy antics. She's lucky she banked up some goodwill because her shenanigans Sunday while I was riding were quite annoying haha.